I had a wonderful posting to RAF Valley, Anglesey, first arriving as a newly fledged JT Air Electrician on SARTU as it was then. My fiancee joined me in 1987 when we married in Peterborough from her posting at RAF Wittering where we were both origonally posted to. In late 1989 I moved 50 metres down the corridor to 22 Sqn C flt after a fellow electrician was injured one very damp and blowy night. This became a permanent posting for me effectively double touring. I would still do this job today if I could. Both my children were born here 1992 and 1995 respectively, the first Roberts to be born inside Wales in 70 years! We recently re-visited RAF Valley on Anglesey and saw what a sad state the airfield had fallen into hopefully as a dual use site it may continue on a bit longer. Many fond memories of this place and many dark nights by the coal fire after the electricity had failed during a storm and many lives saved during my 10 years here. Wishing all the best for RAF Valley for the future. For more local articles and stories, subscribe to our free Anglesey News today. It's as easay as 1-2-3! I am glad to know that you have got your first appointment in JT Air Electrician on SARTU. The job in RAF is risky but same time it is good too. It is nice to join with the rescue operation as we can save many lives. I was posted in after a tour to the Ascension Island. I arrived late 1990 and left 1993. I had a great time. Great summers and wet and very windy winters... At first I was single then halfway through ended up getting married and lived on the MQ patch at Dol-Eithan (spelling?) I made many friends but sadly lost touch once posted. Never a dull moment always had work to do and plenty of laughs... I lost count of how many people ended up in the emergency water pool! Luckily got a few trips back seat on the weather ship and spent a couple of days filling sand bags down on the beach... many many happy memories. Good to see your site. good to hear this Russell. RAF Valley is very important for island economy. 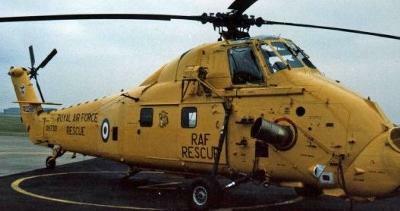 when we come down for our hols at Rhosneigr, we always see the helicopters over the sea, makes you feel safe! It's a great place, Anglesey. Return to Anglesey Cardiff Flights.